Will Christchurch Real Estate Face Changes with the New Overseas Buyers Ban? 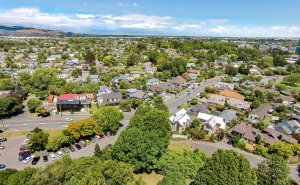 Home / News / Will Christchurch Real Estate Face Changes with the New Overseas Buyers Ban? On Tuesday, the new Labour-led Government has announced that it would end foreign buying of existing houses. On Tuesday, the new Labour-led Government has announced that it would end foreign buying of existing houses. This is done by classifying them all as “sensitive” under the Overseas Investment Act. Although it will be almost impossible for the Government to know exactly how big of an impact the ban would be due to a lack of clear data around foreign buyers. Foreign buyers may have had a influence on the inflated Auckland house prices two years ago. Even despite this Christchurch house prices were very steady. The legislation is expected to be introduced by Christmas this year and passed in the new year.